Today’s post title was taken from a movie that came out some time ago. The movie was about the introduction of a new Supreme Court Justice to the Court and some of the cases that were being heard. The 1st of October is approaching. We’ve a week and a half until that first Monday arrives but the Court is preparing to hear a number of cases that could have significance. The Daily Signal writes about six of that upcoming cases. 1. Elonis v. United States: Aspiring rapper Anthony “Tone Dougie” Elonis was convicted of making criminal threats after posting rap lyrics on Facebook about killing his estranged wife. Did the government have to prove Tone Dougie intended to actually threaten his wife, or is it enough to show that a reasonable person would have viewed those Facebook posts as true threats? 2. Department of Transportation v. Association of American Railroads: Can Congress delegate regulatory authority to a private entity? This case involves a 2008 law that authorized Amtrak to co-author regulations governing the railroad industry. Amtrak is a unique creature—created by an act of Congress but run as a for-profit corporation. The Court will decide whether this delegation of regulatory authority was proper. 3. Heien v. North Carolina: Ignorance of the law is no excuse, or so the saying goes. Consistent with the Fourth Amendment, a police officer may make a traffic stop if he has a reasonable suspicion a law is being violated. But what happens if the officer makes a mistake about what the law requires? 4. Holt v. Hobbs: Can a state prison prohibit inmates from having beards? An inmate serving a life sentence in Arkansas argues he must maintain a beard to comply with his faith and notes that 39 other states and the District of Columbia allow inmates to grow beards of varying lengths. The Supreme Court will decide whether the federal Religious Land Use and Institutionalized Persons Act protects this exercise of religion. 5. Maryland State Comptroller of the Treasury v. Wynne: In Maryland, residents pay not only a state income tax, but also a county income tax. This case involves Maryland residents who are trying to avoid paying duplicative taxes for income earned out-of-state and already taxed by other states. But the Supreme Court previously ruled states can tax their residents seemingly without limits. 6. Yates v. United States: Does the federal white collar criminal law known as Sarbanes-Oxley cover “shredding” fish? In this case, a Fish and Wildlife officer issued a citation to John Yates for catching undersized red grouper in the Gulf of Mexico. Yates was instructed to return to port where the grouper were to be seized, but when he arrived, the officer counted fewer undersized fish and suspected Yates threw them overboard. Yates was convicted under Sarbanes-Oxley for destroying “tangible objects” with the intent to obstruct an investigation. The Supreme Court has plenty of room on its 2014-2015 docket to add more cases, and it may do so following the “mega-conference” on Sept. 29. The justices may not be eager to jump back into the marriage debate—as Justice Ruth Bader Ginsburg suggested during a talk at a law school last week—but it seems only a matter of time before the issue is back before the Court. Following the Court’s 2012 decision in United States v. Windsor, traditional marriage laws have fallen across the country. Parties from cases out of Indiana, Oklahoma, Utah, Virginia and Wisconsin already have petitioned the Court for review. The first case, Elonis v. United States, is another review of the “reasonable man” concept and whether online threats are real. Basically, it reviews what a reasonable man may do in similar circumstances. The concept has been upheld in courts for a long time, more than a century at least. A legal wag referred to the case as, “If it looks like a duck…” believing that Elonis’ case will be defeated. But, we all know that no one can predict the result of a case before the Court. Robert’s reversal in the Obamacare as a tax is a prime example. Another interesting case is Heien v. North Carolina. We have long been told that ignorance of the law is no excuse. We’ve been told this frequently when we, the public, unknowingly break some law and have been ticketed or arrested as a result. But what if it is the law enforcement officer who is ignorant of the law? Should not the same reasoning apply to law enforcement as it does to ordinary citizen’s? 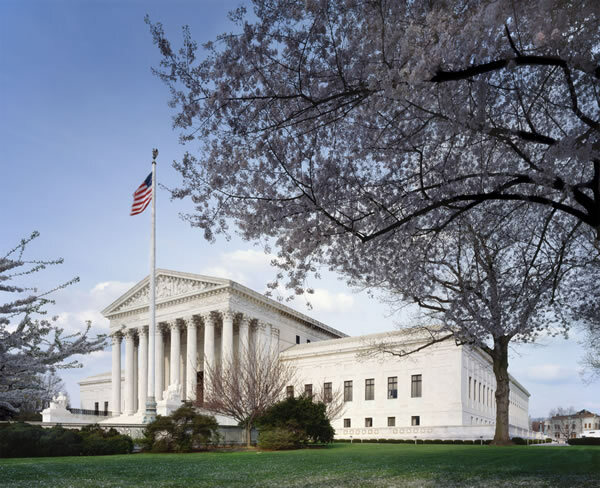 From SCOTUSBlog: Whether a police officer’s mistake of law can provide the individualized suspicion that the Fourth Amendment requires to justify a traffic stop. The issue is explained in this excerpt from the ACLU’s website. Whether a traffic stop based on a police officer’s mistaken understanding of the traffic laws violates the Fourth Amendment. The driver in this case was stopped by the police because his car had only one working tail light, which the police mistakenly believed was a violation of North Carolina law. The ACLU’s amicus brief, submitted with the National Association of Criminal Defense Lawyers and the Cato Institute, argues that a mistake of law can never supply the reasonable suspicion of wrongdoing that the Fourth Amendment requires in order to justify a traffic stop. Ignorance of the law is not an excuse for motorists, and it ought not to be an excuse for the police. If SCOTUS sides with Heien, that the arbitrary stopping and subsequent ticketing was a violation of the 4th Amendment, then, by extension, other such stops without probable cause, should also be illegal—such as DUI roadblocks and other arbitrary stops designed to catch a few offenders among the many of the innocent also stopped. Other cases appear to be frivolous from an uneducated standpoint. One is whether prison officials can regulate the growth and/or length of a prisoner’s beard. Another concerns a fisherman who was ticketed for catching undersized fish. When the fisherman’s boat arrived at the dock, the offending fish were fewer than the Fish and Game agent had estimated. The fisherman was charged for violating Sarbanes-Oxley by destroying “tangible objects” with the intent to obstruct an investigation. The fisherman was later convicted of violating the Sarbanes-Oxley Act. If no actual count of the fish at the time of apprehension was made, how could the agent determine that some of the illegal fish had been tossed over the side? Also, is using a law designed to protect shareholders from corporate destruction of documents, be a reasonable use of the law against a fisherman? Perhaps the most interesting case is one that hasn’t, yet, appeared on the Court’s docket. It is another issue with Obamacare and taxes and subsidies. The justices also may hear a challenge to the IRS subsidizing health insurance purchased from federally-run Obamacare exchanges. Section 36B of the Internal Revenue Code, enacted as part of Obamacare, allows the IRS to provide subsidies to individuals who buy health insurance through state-run exchanges, and the IRS claims it can extend this to individuals in the 27 states that chose not to open exchanges. Two appellate courts issued rulings within hours of each other that reached opposite conclusions about this IRS interpretation. Given the significant implications this may have for the practical implementation of the law, it looks like Obamacare may be heading back to the Court for a third time. — The Daily Signal. It is beginning to appear that this year’s term before the Court could be interesting. This entry was posted in 4th Amendment, SCOTUS by Crucis. Bookmark the permalink. Pray for the good health of the Conservative judges. Sometimes it’s hard to tell which ones are.